Aunt Dorothy: I'm old enough to know when life is coming at me with its pants down. Krampus is exactly what we need. 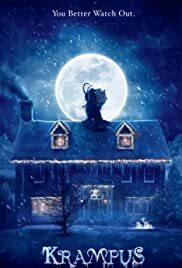 I first heard of the story of Krampus from a Christmas episode of American Dad!, and I've been surprised that none of the reviews I watched online for this film mentioned that since it's the one of the only times Krampus is mentioned in pop culture. Perhaps now that this movie is out, we will hear more about him. I sure hope so, because this is the perfect Christmas tale for the kids and families out there. It's a story that we could all benefit from, in fact. The film starts out by showing us the insanity that we all know as Christmas shopping. It's all about how materialism and family strife can wreak havoc on our emotions during holidays. The problems all trickle down to the children, who should really be enjoying and celebrating the season instead of getting caught up in the stress the adult deal with. So, our main character rips up his letter to Santa, and wishes for all of this to be over with. Krampus, being the evil side of Christmas, grants the wish. The characters are slowly plunged into a horror story. Their Christmas story becomes a story of survival. Will they be able to get along for the sake of surviving Christmas? There were only a few things that I really had a problem with. That's why it gets an 8 instead of a 9 or 10. The first reason comes from the fact that I am a serious horror fan, and felt disappointed at the lack of blood and gore in the film. That reason may keep some genre fans away, but also makes the film more accessible to the kid and family audience, whom the film is really for. 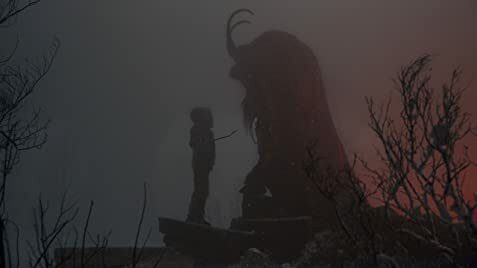 The other problem I had with the film was with the editing during the scenes with Krampus' helpers, because it was quite jumpy and made it hard to see everything going on the entire time. Again, this is a good movie. I highly recommend it as one of the best new family Christmas movies. Krampus is exactly what we need to balance out the holiday. This will definitely be remembered as more than just another holiday themed horror movie. It will, hopefully, become a staple for Christmas viewing. 68 of 109 people found this review helpful. Was this review helpful to you?